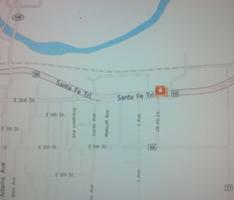 WE ARE LOCATED JUST EAST OF LA JUNTA, COLORADO 81050 ON HIGHWAY 50. TAKE THE FRONTAGE ROAD ON THE SOUTH SIDE OF THE HIGHWAY AND WE ARE LOCATED AT THE FAR EAST END OF THE FRONTAGE ROAD. LOOK FOR THE BIG STEEL BUILDING WITH THE ADAM’S WRECKING SIGNS. WE ARE NEXT DOOR TO RANCHER’S SUPPLY. PLEASE CLICK MAP BELOW FOR FULL SIZE MAP.